What is this year's Chinese New Year Animal? 2017 is the Year of the Rooster! What do these animals represent? How many are there? 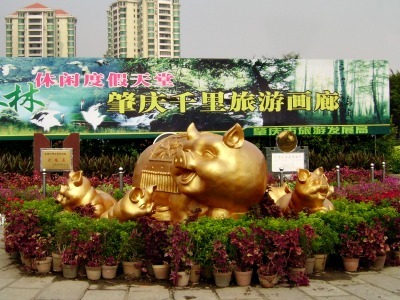 There are twelve Chinese New Year Animals according to the Chinese Zodiac. Babies that are born under a particular Chinese New Year animal will adopt the characteristics of that animal. 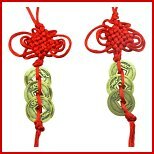 For example, children born in the year of the Dragon will inherit the energy, power and wisdom of the Dragon. You can see in the table below which animal corresponds to which year. You will notice they rotate in 12-year cycles. You can look up the year you were born to find out which Chinese New Year animal is yours, and then click on your animal to find out what its qualities are! Because each Chinese New Year starts in late January or early February according to the lunar cycle, if your birthday falls into this period, your animal might be the previous year's animal. For example, if you were born in January 2010, even though 2010 is the Year of the Tiger, you are an Ox instead because the Year of the Tiger did not begin until February 14, 2010. 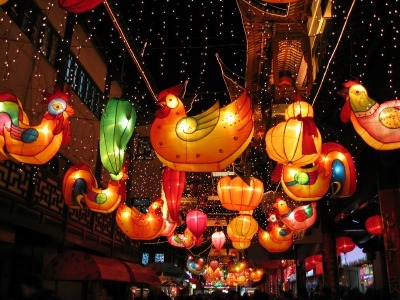 You can check the exact dates for Chinese New Year here. Coins and stamps for collectors are issued with that year's lucky animal, as well as greeting cards and red envelopes. Here's more on the Chinese Zodiac and how the 12 animals were selected.